Crispy croutons and feta salad is a very filling salad which can be had as a main course as well. It is a very healthy salad which is quick to make and full of nutrients. Try introducing this to your kids and develop their taste for salads. Cut bread slices into pcs and deep fry these. Sprinkle salt and black pepper while it is hot and keep it aside. Soak all vegetables in ice cold water for half hour to one hour. In a bowl, mix salt, black pepper, milk, lemon juice, vinegar, sugar. Add this mixture to the sieved vegetables. Mix well. Add fried croutons. Transfer the contents to the serving bowl. 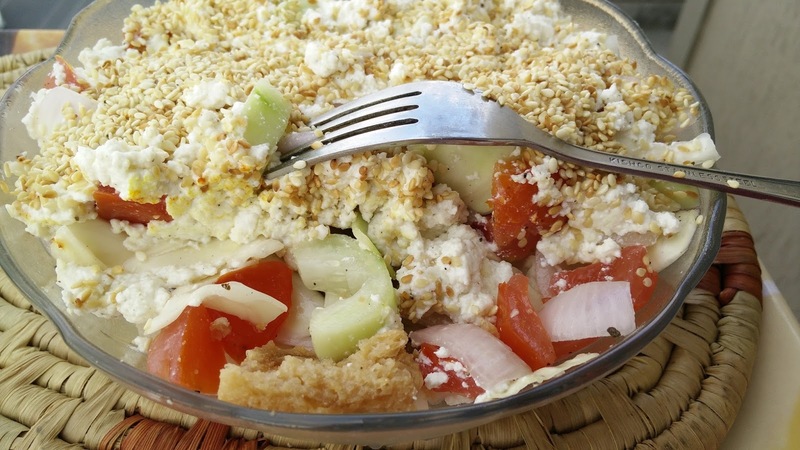 Top it with layer of crumbled cheese and roasted sesame seeds. Serve cold.